Mindy’s Catering recently catered an event at which I assisted a friend. It was a not for profit organization in DC. I have worked with many caterers. Mindy’s menu, quality of food, excellent serving staff ...all provided for a bit-for-profit budget was outstanding. I can not recommend her highly enough. Patricia H.
We worked with Erin from Mindy's catering. She was so helpful. She was easy going but totally engaged. I felt so much calmer about our reception after we met with her. She was flexible and happy to accommodate some of our quirky requests. The food was so amazing. Our guests loved it and still talk about it. We had salmon that was still fresh the next night. Everything was beautifully presented and so tasty. I highly recommend them and would use them again on a heartbeat. Mindy’s catered my daughter’s confirmation party in our back yard. Amazing prices and super friendly & professional staff. The food was incredible. All my guests were raving & going back for seconds. They are the only caters I will hire in the future. They are really that great! 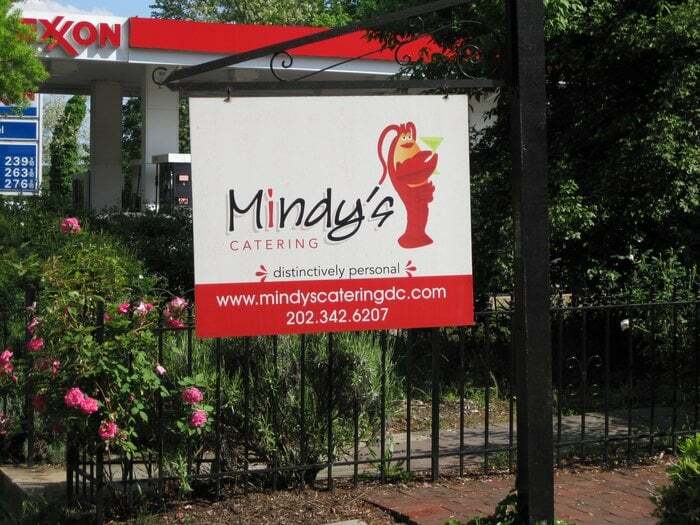 Mindy's catered both my daughter's Bat Mitzvahs and if I had more kids they'd be catering those as well. Working with Erin an Bobby is a pleasure and they make the event so easy. They take all the stress out of wondering if everything will go right on the catering side. The food is wonderful, the staff is top notch and I can't think of anyone we would have rather done these events for us. Mindy's is, by far, the best food we've ever had. No one was without a drink, even during cocktail hour when they had an extra server handing out glasses of wine. They even had cucumber water for guests before the ceremony since it was in May. And it was affordable!! Not only that, but Erin, Mindy's coordinator basically acted like our wedding planner. We did the walk through with the venue, and she asked non-stop questions, helped us make the hard decisions, and asked for all the other vendors' name and info so she can contact them in case something happens (we had a grilled cheese food truck and dessert buffet and even though she wasn't providing it, she still went above and beyond to make sure all of our food and drinks went off without a hitch). I seriously couldn't have dreamed of better, above and beyond service paired with the best food I've ever had! !